Jason Hartman talks with personal development expert Mark Thompson about leadership, business success, and personal growth. 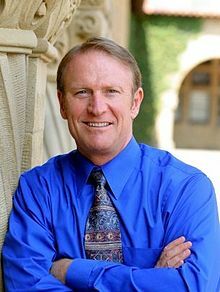 Based in Silicon Valley, Mark is a senior executive leadership coach, a successful business leader, New York Times bestselling author, venture capitalist and Tony-nominated Broadway producer – and brings real-time solutions to today’s leadership challenges. Mark is the CEO and cofounder of Virgin Unite Mentors, Sir Richard Branson’s network for executive coaching and entrepreneurial innovation and is a Founding Patron of Virgin Unite’s Entrepreneurship Centre. Mark is also Program Chairman for the Board of Governors of the Hesselbein Leadership Institute and the John F. Kennedy Institute for Entrepreneurial Leadership. He is a founding advisor of the Stanford Realtime Venture Design Lab, and a visiting scholar at his alma mater, Stanford University. He has served as faculty at the World Economic Forum and the World Business Forum. He is a SupporTED coach on the team that coaches TED Fellows.